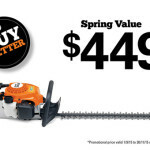 Many of our customers come down the highway from Geelong to see our range of hedge trimmers at the STIHL Shop Drysdale. 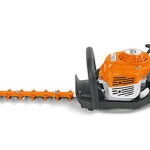 Hedge trimmers are quick and effective way to reduce plant growth and create a decorative look to your garden. We can provide you with a small electric trimmer for domestic jobs or a more industrial model for the professional gardener. 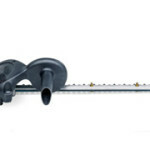 We stock petrol, electric and cordless hedge trimmers to suit a wide range of needs and fit any budget. Please contact us to find out more. If you’re completing a larger landscaping project, take a look at our range of mowers, including basic push models through to zero turn ride-on machines. Stay safe while doing any work around your home with our personal protective equipment.